After leaving Reddit in 2007, Swartz began to do so in earnest. He had come to believe that free, unimpeded access to information was an inherently political issue, not just a slogan to be monetised. “The system,” in all its incarnations, that vague authoritarian stronghold of imprecise menace and organisational inefficiency, had long been Swartz’s primary antagonist. If “the system” relies on institutional opacity to conceal its aims and to consolidate its grasp on power, one way to buck that system is to reveal the information that it actively keeps hidden. In July 2008, Swartz put his name to a cri de coeur dubbed the “Guerilla Open Access Manifesto,” in which he urged people of good conscience to “take information, wherever it is stored, make our copies and share them with the world.” He evangelised on these topics like a man touched with ideological tinnitus, unable to escape the sound of social dysfunction and desperate to make others hear the ringing in his ears. Swartz had developed several methods of acquiring large data sets. Sometimes he’d purchase them. Sometimes he’d request them directly from government agencies under the Freedom of Information Act. Sometimes he would use scripts and download the material automatically. This last method was quick and easy—especially for Swartz, who so disliked having to ask other people for help—but it also had the potential to greatly annoy the database providers. Embarrassed though he may have been, Swartz had no intention of changing his ways. He had made himself into a freelance idealist, one who was uninterested in waiting around for systems to gradually reform themselves. Years after Chomsky’s book first sent him reeling with the vertiginous power of its transgressive political ideas, Swartz was surer than ever that systems existed to be overturned. “We need to fight for Guerilla Open Access,” he wrote in 2008. He was ready to lead the charge. He had made himself into a freelance idealist, one who was uninterested in waiting around for systems to gradually reform themselves. At the end of 2007, the US Courts announced that, for a limited time, it would offer completely free access to the PACER database. (At the time, PACER only charged eight cents a page, not ten.) This trial program was made available at sixteen federal depository libraries across the United States, and researchers would have to physically visit these libraries to take advantage of the offer. Swartz sensed an opportunity. The terms of the PACER access initiative did not explicitly authorise remote downloading, and this made Malamud nervous. “do you have your library’s permission/tacit agreement to drain pacer?” he asked. “no,” Swartz replied. “sigh. this is not how we do things. :),” Malamud emailed Swartz on September 4, 2008. “we don’t cut corners. we belly up to the bar and get permission.” If Swartz wanted to collaborate with Malamud, he would have to play by the rules. Swartz gave his assent and then, without telling Malamud, ran the program remotely anyway. He persuaded a friend in California to visit the library in Sacramento and surreptitiously download an authentication cookie that Swartz could use from home to fool PACER into thinking he was at the Sacramento library. In Massachusetts, Swartz ran the program, and then sat back and watched the files roll in. “we’re going to have fun with this,” Malamud told Swartz in late September, after Swartz had estimated that he would be able to capture approximately four terabytes worth of PACER records. “awesome. :-),” Swartz replied. 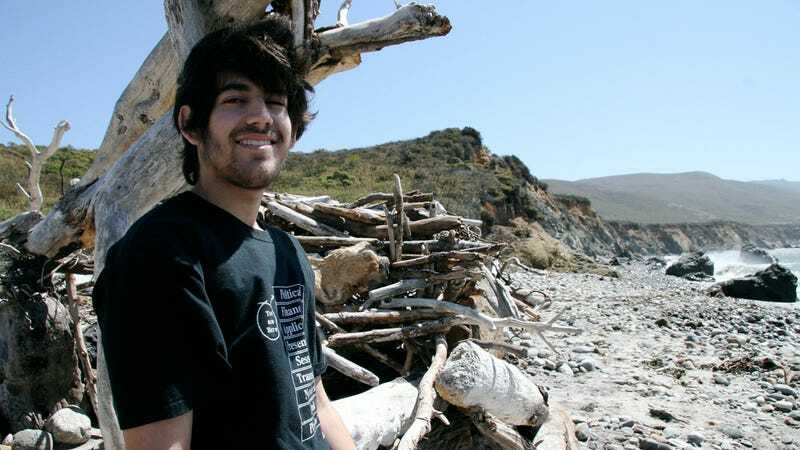 On September 20, 2008, Swartz revisited the Guerilla Open Access Manifesto in a blog post promoting the launch of a website called guerillaopenaccess.com. “I realized that the Open Access movement simply wasn’t enough—even if we got all journals going forward to be open, the whole history of scientific knowledge would be locked up,” he wrote by way of explanation. “I realized what must be done. If we couldn’t get free access to this knowledge, folks would have to take it.” A week later, the government noticed the unusually high number of downloads purportedly originating from the Sacramento County Public Law Library and severed Swartz’s access to PACER. When Malamud learned that Swartz had been running his crawler remotely despite instructions to the contrary, he told Swartz that “you definitely went over the line, even after I specifically told you I didn’t want that to happen on my resources.” Then, worse came to worst: fearing a security breach, PACER suspended the trial-access program entirely. Swartz’s lawyer eventually called the FBI and said that his client would agree to meet only if the agency could guarantee that doing so would not work to his detriment. 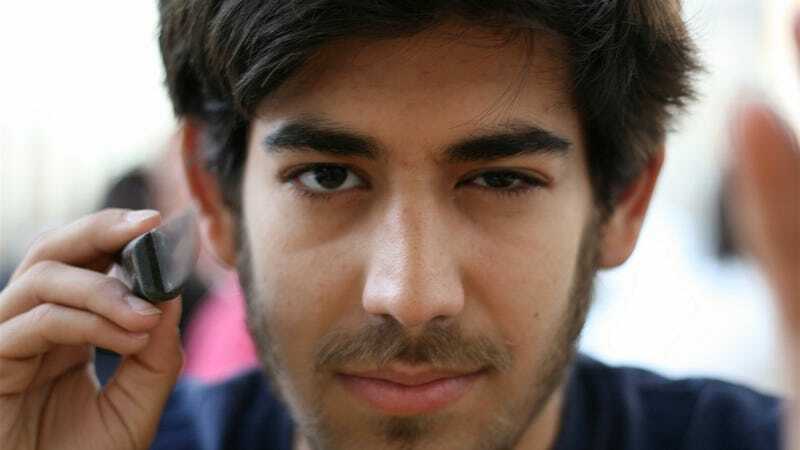 The FBI couldn’t make that promise, so Swartz never met with them. The investigation was eventually closed on April 20, 2009. Later, Swartz requested his FBI file and posted the contents online. Swartz had spent two years downloading and uploading various data-sets in a flurry of shotgun activism: spreading his shot wide, not caring particularly about which target he hit. Now, his tactics had backfired. But far from convincing Swartz to curb his ambitions and proceed with more caution, the PACER experience, if anything, just encouraged him to reload. Swartz’s guerillaopenaccess.com website linked to the website of a group called the Content Liberation Front, self-described “guerrillas of the open access movement.” The Content Liberation Front’s website was a simple list of projects, the first of which was the acquisition of expired journals. That was Swartz’s apartment, between Harvard Square and Central Square, just down the road from the Massachusetts Institute of Technology. 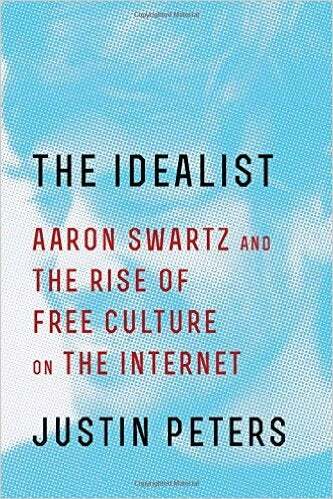 This post was adapted and excerpted from The Idealist: Aaron Swartz and the Rise of Free Culture on the Internet, by Justin Peters. Out now from Scribner.